In our region we call it a catamount, but others call it a mountain lion, a panther, even the "ghost cat." But whatever you call it, the U.S. 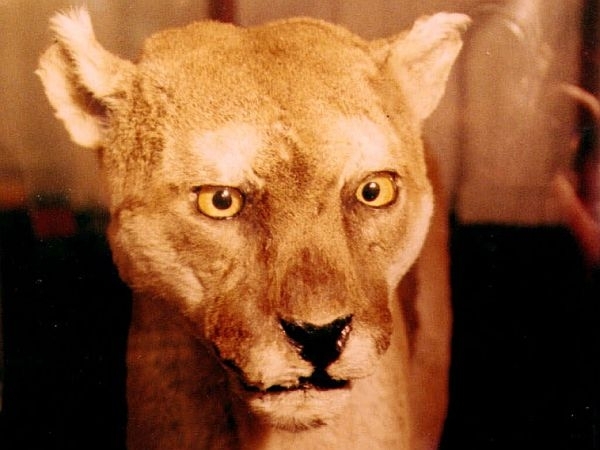 Fish and Wildlife Service announced March 2, that the animal known officially as the Eastern Cougar is, in fact, extinct. Decades have passed since the last confirmed sighting of a catamount in our region and wildlife biologists have have been unable to find evidence of the animal, despite dozens of reported sightings each year. We learn about the catamount’s extinction, and how this sub-species relates to other large cats outside the northeast with Vermont Fish and Wildlife Biologist Doug Blodgett. Also in the program, a St. Johnsbury man shares his love of the theremin, an unusual electronic instrument. Since it’s invention by a Soviet scientist in the 1920s, the theremin has had a mixed reputation among serious musicians. And we meet a woman who is among the oldest living Vermonters: 107-year-old Mary Bonamo of New Haven is one of a hundred Vermonters who are older than 100 years old. VPR’s Melody Bodette visited Bonamo and her family. The Vermont Department of Fish and Wildlife wants to help private landowners make it easier for the endangered Indiana bats to live on their land.